One of Panini's strongest offerings has hit the market - Certified hockey is out! Will these cards bring strong value to collectors? Will they measure up to the bar set by last year's set? Let's find out together as we go through a box of 11/12 Panini Certified. Before I got bought my box of Certified I had looked on the internet to get a feel of what the product was like. One of the things that initially looked pretty weak were the base cards. Now that I have them in hand, I can say I was wrong - looking at the base cards through a computer screen does not do them justice. The base cards are very pleasing to the eye. Like last year's cards, these cards are all on foil board, and the foil is done right. The foil enhances the overall design, and is actually absolutely perfect for the card. I really enjoy the upper portion of the card. Each card has an ice background that goes so well with hockey. The bottom of the card is straightforward and modern. Very sleek and refined. The base card looks elegant, feels modern, and is a step up from last year's design. It's brighter, and the players pop out more. Superb looking cards. The back of the Certified cards have the same design notes as the front sans the foil. The back of the card is functional but does not add anything great to the cards. All the basic information that is needed is there, but I would have liked Panini to be more creative with them. All of the cards feature just one line of player stats from the prior season and a small paragraph about the featured player. Immortals are a subset of the base cards. Panini has chosen to include a select group of players from the past to include within the main Certified set. These cards are similar to the standard base cards except that they feature only black, grey, and white color tones. It's a nice idea to highlight the fact that these player's no longer play in the league. The word 'Immortals' is prominently displayed at the top of each card. The cards are certainly bold, and do a good job of including retired players. It's a fun way to add more of the older favorites into a set. The Immortals are more limited than standard base cards. In my box I only pulled one. They are serial numbered to 500. Rounding out the main numbered set are the Freshman Signature and Freshman Fabric Signatures cards. The cards obviously feature the rookies from the new season. Panini scores big here in that these are the first official autographed cards you can get of these players. Artifacts had the auto redemptions, but these autographs are live and in the product. 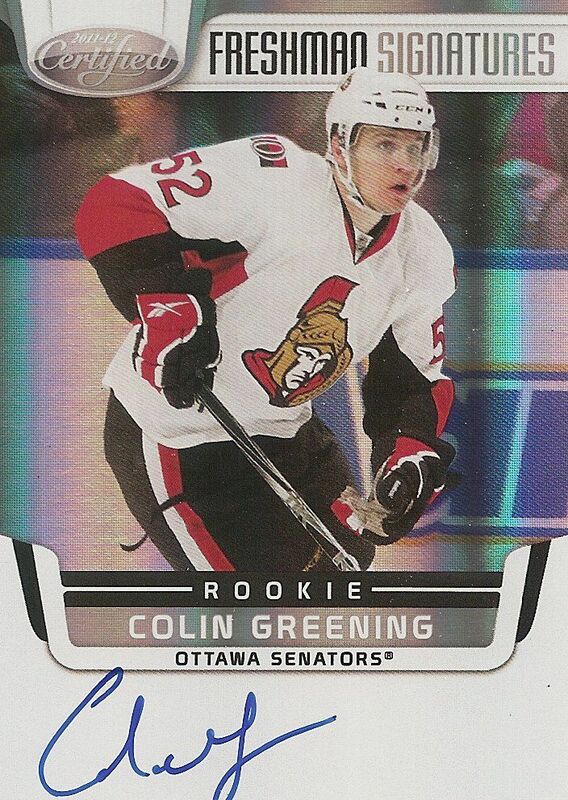 The card I got from my box was of Senator's rookie Colin Greening. It's great that the signature is on card, but the card is not serial numbered. There is ample room at the bottom of the card for the player's to sign. I'm not as impressed with this design as I am with the standard base cards. The card looks a bit cluttered and inelegant to me. Overall though, the base cards are extremely well done. The main set of cards will be a challenge to put together, but will be an impressive feat and a fantastic group of cards to have. Each box of Certified will net you about four hits. In my box one of the hits was the Freshman Signature card from the main set. My other three were all from the same insert set - Fabric of the Game. 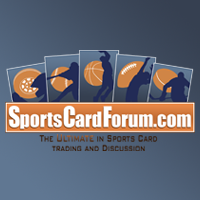 Fabric of the Game cards have been a long-running staple in Certified for years now. This year's version gives some visual updates to this venerable insert line, but overall it delivers exactly what it did last year. 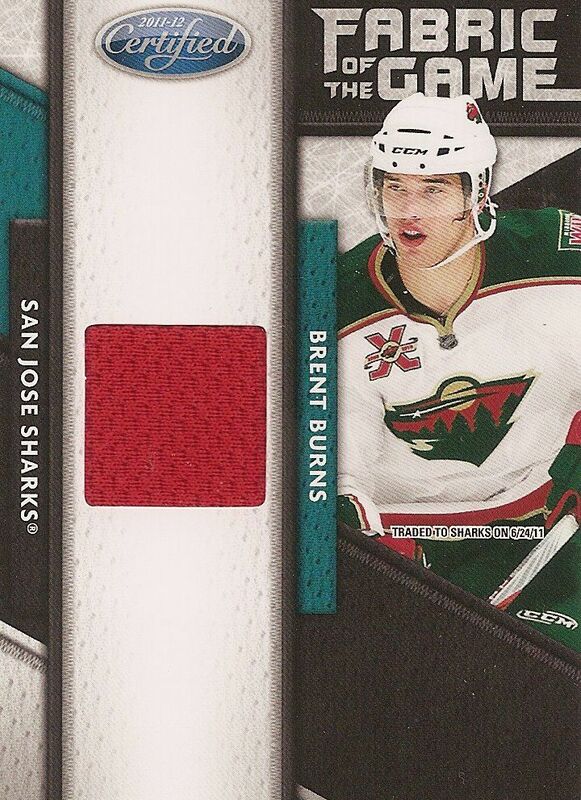 Above is a Brent Burns FotG card. This is the most common version of the card, limited to 399. It has a single square of jersey set amongst a wide white area. The design, though updated, is not spectacular and doesn't really stand out. The jersey looks very lonely amongst the field of white - it looks a bit sad to me. 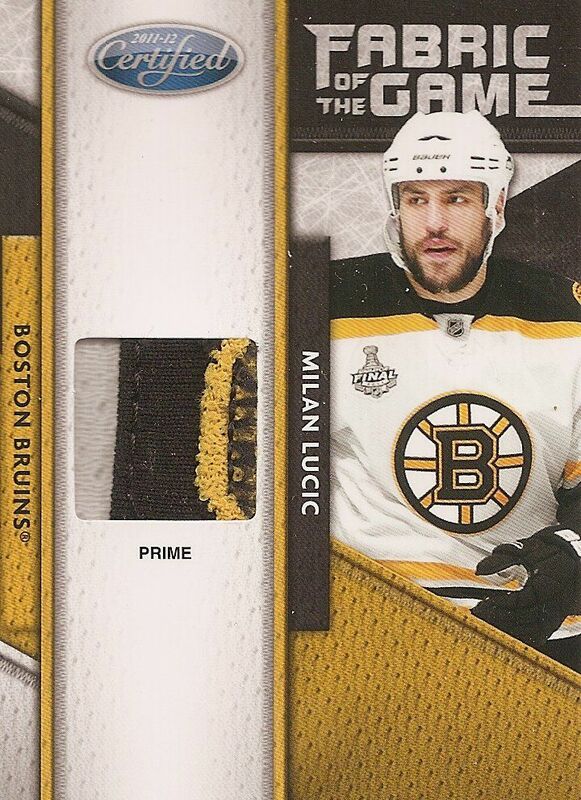 The Lucic card above is a bit nicer in that there is a crazy patch in the cut out. This patch literally is popping out of the card. Without the patch craziness the cards suffers from the same blandness of the standard FotG cards. This one is numbered to just 25. 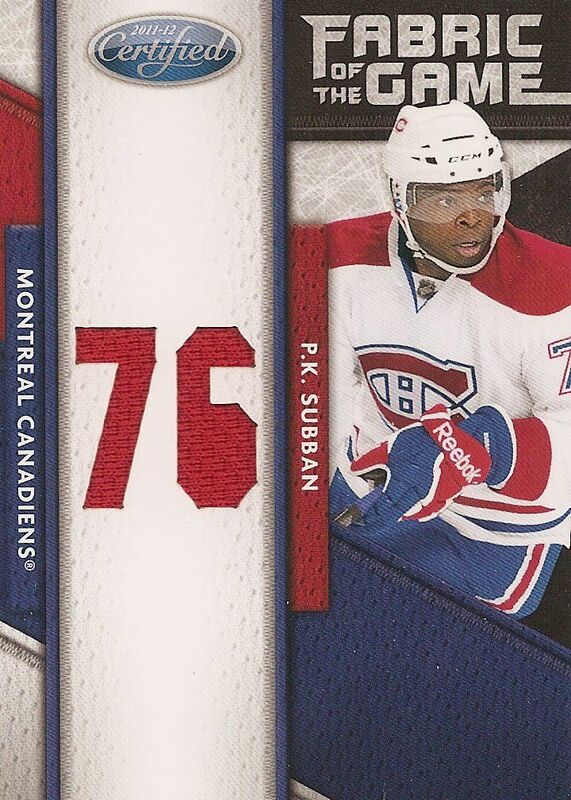 The Subban above is yet another variation of the FotG cards. 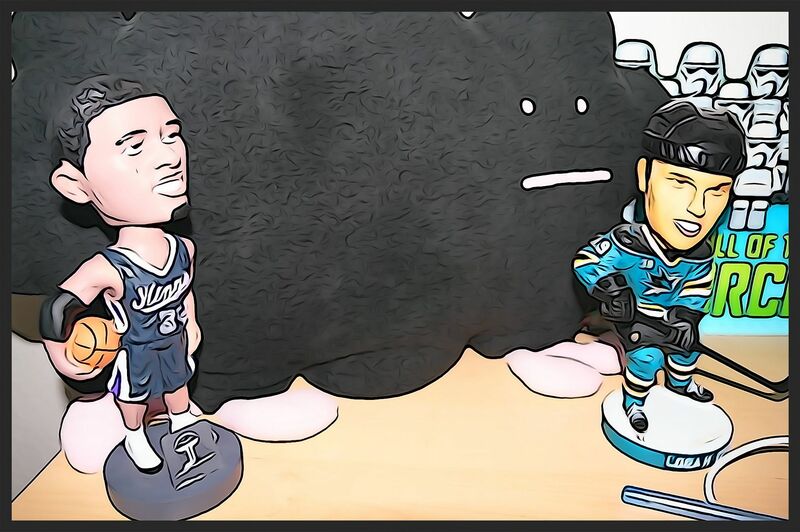 This one features a die-cut of PK's jersey number. Though it's nice to have some die-cutting, this particular type doesn't do much for me visually either. The number pieces are very small. I was surprised to look on the back and find out that this card was also limited to just 25. Now there are FotG cards that fully utilize the white area of the card. 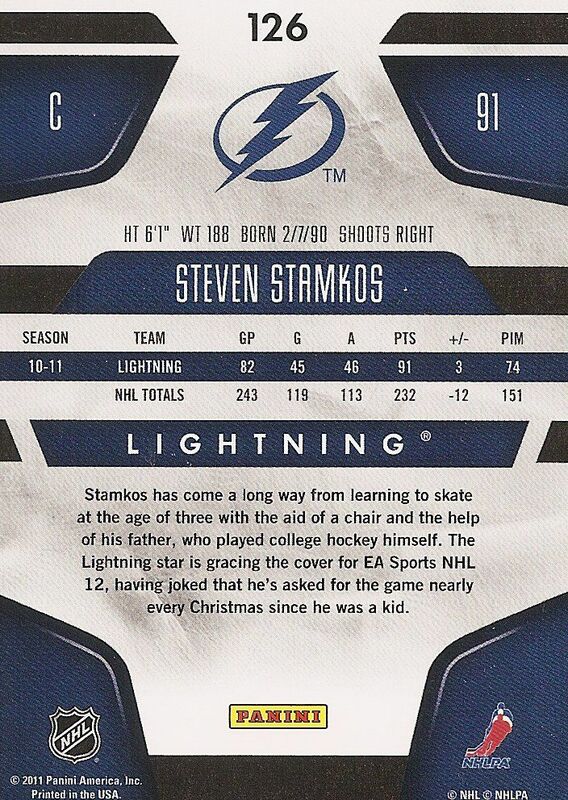 Some cards feature the team name, some feature stats, and some have NHL. Those cards have a bit more of a 'wow-factor' to them. My three examples from my box sadly didn't (save for the nice patch on the Lucic). I am a bit afraid to see how many Fabric of the Game variations there are in Certified. For people who collect cards of certain players, this set will be either 1. a super fun challenge or 2. a complete nightmare. The Fabric of the Game set features many NHLers. There are 150 players that have a Fabric of the Game card. See if who you like has one! 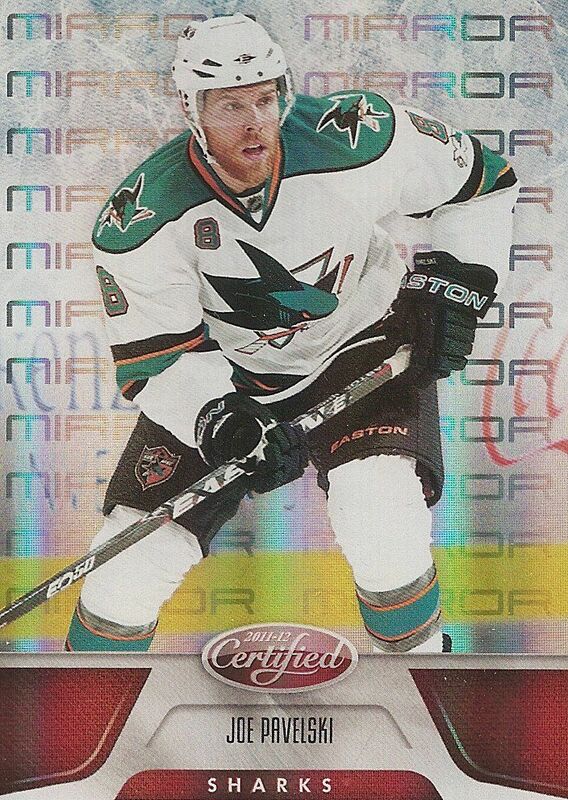 My personally collected player, Logan Couture, does not have one. I'm actually kind of surprised at that. There are plenty of other game-used and autograph inserts to be found in Certified this year. One of them is called Big Pulls Signatures. This is a unique card in that the signature can be literally pulled out of the card. The concept is to have a signature on fabric within a larger card. You can slide the inner fabric card out and look closely at your autograph. It's a neat idea. I give credit to Panini for trying things like this out. Are they going to be a hit with collectors? Just a gimmick? Time will definitely tell us. Non-auto/memorabilia cards can also be found in Certified. 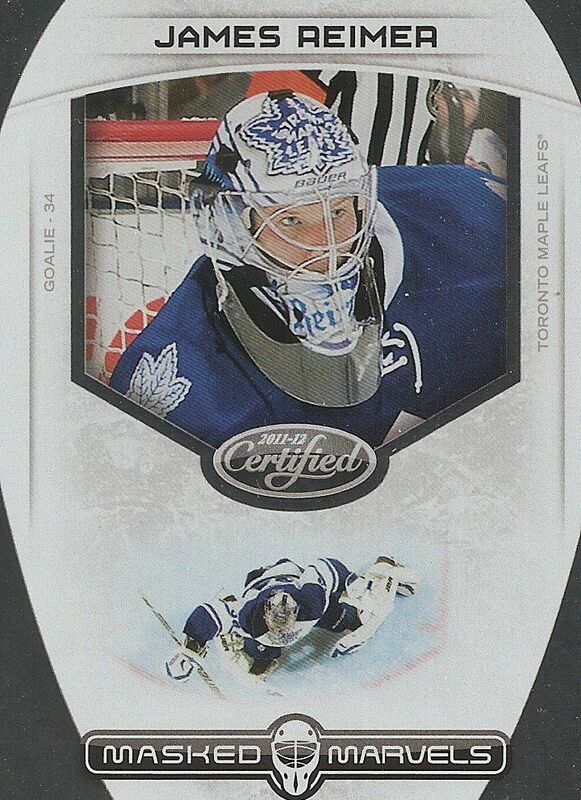 I found this Masked Marvels of James Reimer in my box. These Masked Marvels cards show two images of the featured goalie. One is a close-up shot of the goalie and the other is an above-the-goalie shot. When I first heard of the Masked Marvels set last year I was hoping for an insert that featured the masks of the goalies more prominently. I find that these cards are a bit lacking. In my opinion, the areal view shot could be done away with and have the entire card feature a close up view of the goalie's mask. In the past collector's have clamored over cards like that. Last year these cards didn't get a lot of hype, and I don't foresee them getting much this year as well. Other insert sets in Certified include Certified Potential and Gold Team. These cards come in different variations be it with memorabilia or a more limited print run. Speaking of variations, the mirror cards are back in Certified... but of course they would be! The most common types are mirror red and mirror blue, but there are more challenging colors to look for too. And of course some feature autographed variations and others memorabilia variations. I could go nuts just thinking of all the variations to be found in Certified... so I'll just stop now. This year's Certified offering is strong - the cards are nice and they have a premium feel about them. 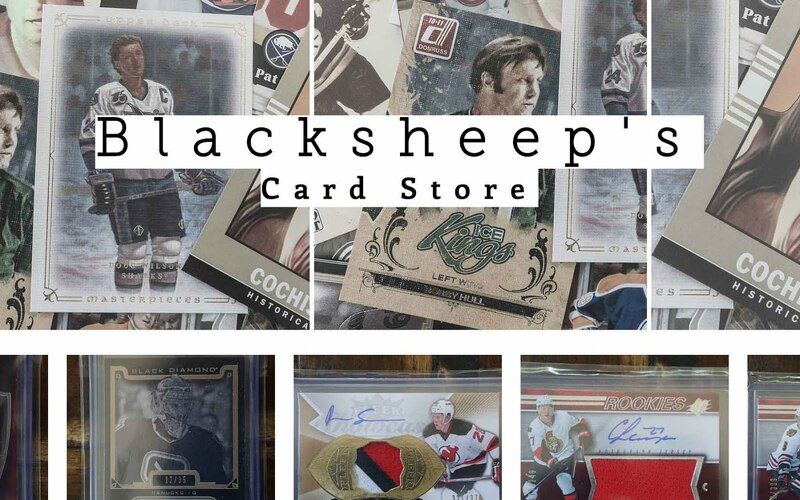 At $100/box, the cards are in reach of many collectors. It's definitely a product that should be given a try. In my opinion, there are parts to Certified that have surpassed last season's set, but other parts that left me wanting more. On the positive side, the base cards are great. For collector's who like to collect the main set or just base, the cards are beautiful and elegant. Collector's who like to chase hits and get auto/memorabilia cards will also be pleased with Certified. The cards you get in Certified are great trading and selling. On the negative side, player collectors and set completionists will be pulling their hair out trying to find all the variations and limited cards in Certified. There are just so many variations in this set! And many of them have extremely low print runs. It will be a tough challenge. No doubt. Get ready to hear all the moaning and groaning from player collectors! Me included! 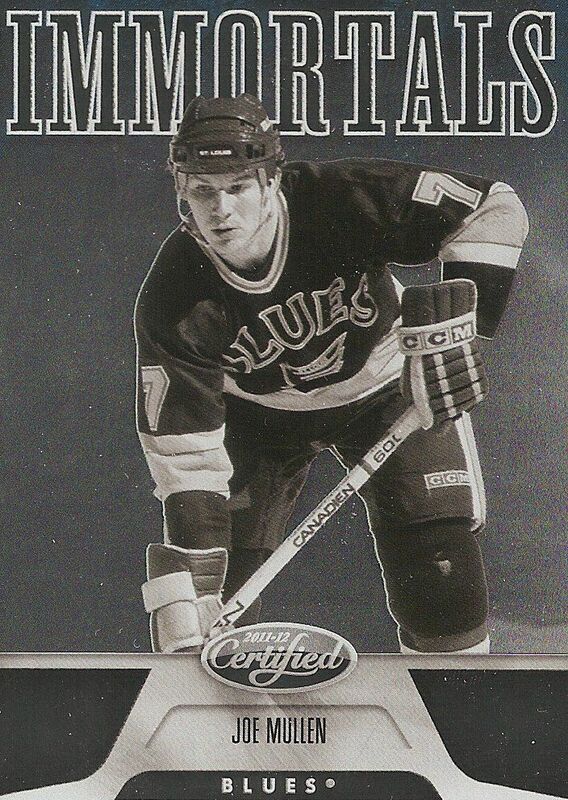 Overall Certified is again a must have product for hockey card collectors. It's a fun break with plenty to look for inside. Happy hunting! Check out my box of 11/12 Certified from D&P Cards in Sacramento, Ca. Well, Certified... hmmmmm :) I enjoy watching the breaks, but there are some things that make me go MEH and also WOO. First I would like to begin with the base cards, this year the designs on the front looks amazing, but the back still looks a lot like last years design on the back, don't get me wrong, there are changes at the back, but i expected more from panini. I absolutely hate the fabrics of the game jersey designs this year. In my opinion it is plain! I heard that it's more common to pull prime patches in boxes, so that kinda pumps my certified mood up ;). The freshman signatures look amazing this year, way better than last years. Mask marvels cards have a very nice design this year. Overall i would rate certified a 8. It is definitely an affordable product for me to try, I wanted to try certified last year, but never got the chance. Hopefully this year I can break a box. The only thing i would dislike about this product like i said earlier is the back of the base design and the fabrics of the game. I think that the box you broke was amazing, I am defiantly picking up a box. The cards themselves are cool not to mention that the box looked pretty nice. I'm a major fan of the Fabric die cuts and the Freshman Auto's. Certified was my favourite set from last year and I have a feeling that will pass on to this year. The base's parallels dimmed down, but the FotG picked up (Normal, Number cut, Stat cut [G.AA or goals, for example), NHL cut, home country cut, and well as patch versions AND auto/patch autos for the number cuts). It's a fun set to go for though. I can't wait to try this out. The other inserts are also cool (Masked Marvels got a wicked upgrade, and some of the new ones are wicked). I'll wrap this up though as the third period of my game is on. In my opinion last years base was better. The memoribilia cards Stepped up so much though. The basecards i thought was better last year, also the parallels.. The insert has improved much i think. And as a goalie freak, the masked marvels are amazing..!! Great set, good "classy" picture. But I think there is not enought rookie in this set. I like Certified this year! I love to collect all of the parralels of my PC players, another thing I like is the base card design. The only thing I dislike is the "Fabric of the Game", they're to plain and ugly. Overall I think Certified is a great produst to collect, I give Certified a 8.5/10. Certified could be a lot better then last year! I was in a 24 box master case break and ended up with tons of doubles and there were tons of redemptions still. Even one of the autograph rookie jerseys was the wrong persons autograph! So I personally don't like certified by cases, but by boxes it's okay. I like the base cards and the parallels, but that's it. Thanks for the video, break, and contest! I think it's going to be a pretty good break most of the time. I also think it's Panini's answer to Artifacts. They're the most comparable, do you have preference? I like everything Certified did this year, I think the base look really clean, and all of the inserts look great! Also the on card autos are sick! I really like what Panini does. The only thing I don't really like about those cards are the Fabric of the games with only a little square of jersey (like Burns). I wrote the last sentence before viewing the price xD. The opportunity to get a couple of autographs is really cool and my friend pulled a Nugent-Hopkins rookie jersey, auto and I have to say this card is pretty sick... So, I really appreciate this year's Certified. I think certified is great this year. Maybe not as good as last years, but i think that the base cards look really good this year, but the back is almost identical to last years. I love the designs of the new freshman signatures, but i hate how rare they are only coming at about one per box. i feel that 11/12 certified is a solid product(well out of the videos ive seen) i think that it is better than last years i really like the base design and the paralles!!! Although I have not broken a box of certified before, I would have to say from watching videos on youtube they stepped it up. The fabrics of the game could be better but the die cuts make up for it for sure...if you hit one. Overall I think this product this year is nice. Certified is a good product this year but I dont like the fabrics of the games jerseys because it is ver plain but i like the diecut versions. I think the best designs in this product come from the freshman signatures and the base cards. Everything else seems boring to me. In my opinion Artifacts did way better this year than Certified even though I thought UD was lazy on the base cards. I realy think that panini did better with the product this year. but i think that it is extreamly hit or miss. some boxes like yours are realy good, then others are extreamly bad. I like the base design for Certified. Some of the jersey cards look too plain, but there are some nice patches. I've always loved Certified so this year's is just as sweet to me! I dont really like the product, It doesnt seem to give many big hits worth lots of money, It looks nice tho, bit i dont think ill spend tht much money on it! I actually never saw such a awesome box break of panini certified before. These cards remind of the 2009-10 macdonalds cards for some reason. Overall I think this product is pro from the on card freshman autos to the short printed jerseys. I really like the look of the base except for photography. Upper Deck series 1 has these stunning photos and this product just has basic shots that I could take. Other than that I really like all the inserts and the jerseys and autos. I think Certified has definitely been boosted up this year. The design is definitely nice and makes the cards stand out. The one downside to the set in my opinion is the over use of parallels, which make it hard on player collectors. At first I didnt think certified lived up to what it was in previous years, but after busting 2 packs it looks a lot better! The base cards are fresh and clean and look like the ice the players skate on! Its nice to know that you are gauranteed 3 jerseys, and that the rookie jerseys look a lot better in previous years!! Overall a good product looking forward to getting my hand on some more!! I think that the certified's base cards looked better¸last year. The inserts like masked marvels are better looking then last year. But the main reason I like last year better is because the auto rookies were harder to get last year and worth more. Unless the base cards, all the other cards look better. Another great product this year for sure. Some problems do arise, and thats the redundant look of the cards. With other products, you can expect something a little different with each pack. I don't get that with this product. But there has been some nice stuff pulled. Awesome review Luke. Your the man. Contest is now over! Thanks for all who joined, but feel free to continue and leave comments about 11/12 Certified! 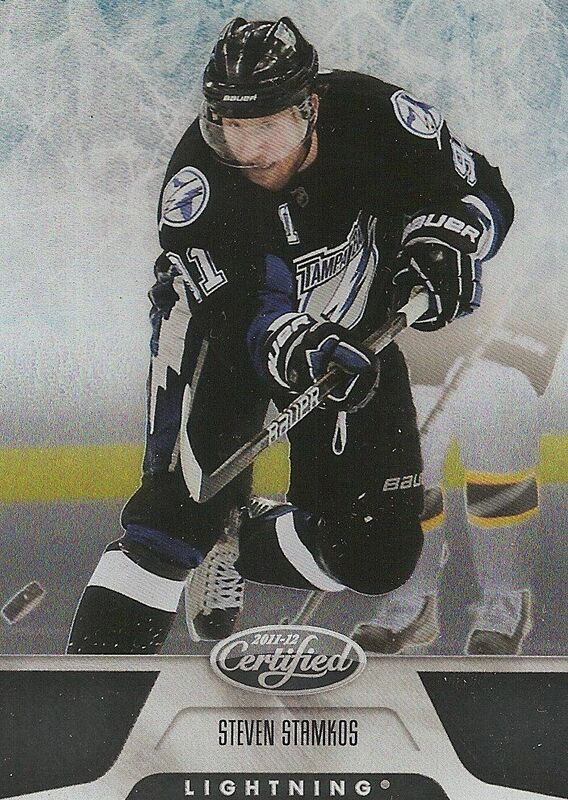 Sooo, I have the Steven Stamkos card shown above. It's autoed and also a 1/1. Anyone have an idea of how much it could be worth? It's in perfect condition. Only touched once pretty much.